Russia has a continental law system, meaning that the applied rules of law are structured in a clearly subordinated system. The Paris Convention, the Agreement on Trade-Related Aspects of Intellectual Property Rights, the Singapore Treaty on the Laws of Trademarks and the Madrid Agreement and Madrid Protocol are directly applied by the courts and are prevailing over national laws. The Russian IP Law has been codified since 2006; most of its rules are contained in Part 4 of the Civil Code and are thus incorporated into the structure of the civil legislation and subordinated to the rules of the General Part of the Civil Code. Part 4, Chapter 76(2) is devoted to trademark rights, while Chapter 69 is a general chapter for all intellectual property. Russia is also a party to the Nice Agreement on Classification of Goods and Services, which also applies to trademark disputes where estimating the homogeneity of products is essential. Procedural rules for estimating confusing similarity are contained in the Rules on Trademark Registration (adopted by the Order of the Ministry of Economic Development, 20 July 2015, 482). For infringement cases the rules are for recommendation purposes only, but for invalidation cases the rules are obligatory. Liability for trademark infringement is set by the Civil Code, Article 14.10 of the Code on Administrative Penalties and Article 180 of the Criminal Code. The Law on Competition Protection (26 July 2006, 135-FZ) prohibits unfair competition through the illegal use of a competitor’s trademark (Part 1, Article 14.6) and unfair trademark registration (Article 14.4). Customs border measures are regulated by the Customs Code of the Eurasian Economic Union. International Association for the Protection of Intellectual Property resolutions (IP Court, 16 July 2018, SIP-676/2017; and IP Court, 4 June 2018, SIP-556/2017). The legal position of the Constitutional Court and the Supreme Court is obligatory for all other courts. Some Supreme Court rulings contain clarifications on a controversial rule of law and provide a reason for reconsidering decisions. Indications that such rulings can provide grounds for reconsideration should be clearly contained therein. using an infringing mark online (including a domain name). Infringing goods are goods or their packaging containing or marked with an infringing trademark (or even made in the shape of the trademark). According to the Law on Competition Protection, the manufacture or distribution of goods infringing a competitor’s trademark rights is also an unfair competition, provided that such acts are illegal or unfair, lead to unreasonable advantages for the infringer and cause or may cause damages to the trademark owner. corresponding court obligations to facilitate an amicable settlement between the parties and to postpone proceedings in case both parties file a petition for postponement, settlement or mediation. Arbitration is regulated by the Federal Law on Arbitration Courts (24 July 2002, 102-FZ). Although there are some arbitration courts in Russia that deal with IP disputes (eg, the International Commercial Arbitration Court at the Chamber of Commerce), the majority of cases are still considered by regular courts. Settlement by parties without involving outside mediators is a regular outcome of IP disputes. Based on Supreme Economic Court Ruling 50(33), the courts have started to allow settlements in disputes on trademark invalidation, where formally the defendant had been the Russian Trademark Office (Rospatent). According to this principle of the court’s obligation to facilitate an amicable settlement, the IP Court may cancel an appealed Rospatent decision and send it back for reconsideration only in view of the parties’ settlement, even if the decision itself is legal (eg, IP Court, 28 April 2016, SIP-93/2015; and IP Court, 12 February 2018, SIP-70/2016). As of 1 July 2017 a plaintiff is obliged to send a pretension letter to the counterparty 30 days before filing material claims (eg, damages or compensation), and two months before filing a non-use cancellation action. Non-use cancellation action should be filed not later than within 30 days after the two-month term has expired. common courts, which consider all other disputes. As of August 2014 both court branches are subordinated to the Supreme Court to ensure unity of court practice. The specialised IP Court is included in the economic court system and is located in Moscow. Russia has a bifurcated system for the consideration of infringement and invalidation actions. Trademark infringement actions are considered by courts although they may be initiated by administrative bodies (eg, Customs, the consumers’ protection service or the police), while trademark invalidation actions are generally considered by Rospatent. Both trademark invalidation and infringement actions can be a matter of consideration for anti-monopoly bodies where disputes are based on an unfair competition action. An invalidation action based on claiming that the registered trademark is an abuse of rights should be filed directly with the IP Court. Unfair competition actions can also be filed directly with the courts. As a rule, a court action should be filed in the defendant’s court. If there are several defendants, a court action can be filed with the court of any of the defendants, based on the plaintiff’s choice. Since selling infringing goods is considered a separate infringement, the seller can be a co-defendant (or even the only defendant) along with the manufacturer or importer, among others. A court action on trademark infringement can therefore be filed at the place where the goods were sold. Administrative actions can be initiated in the defendant’s location or in the place of infringement. Trademark infringement may result in civil, administrative and criminal liability. reinstatement of damages to a proven amount, or compensation instead of damages. The plaintiff should choose the method for calculating compensation when filing the suit. After the suit has been filed, the amount of compensation can be amended, while its method of calculation will not be subject to any change. Although hypothetically speaking preliminary injunction measures are stipulated by applicable Russian procedural law, the probability that the court may impose preliminary injunction measures in a trademark infringement dispute is extremely low. Arrest of goods as a preliminary measure is also unlikely, unless customs border measures are applied, and the place, amount and type of the infringing goods are known. preventing infringement of public interests and interests of the third parties by taking preliminary injunction measures. The court should also estimate whether preliminary injunction is proportional to the claims and how it is going to ensure the claims. level of homogeneity of goods. This position was recently supported and developed by the Economic Panel of the Supreme Court in its 11 January 2016 ruling, which also added ‘fair behaviour of both parties’ to the above criteria. the amount of a reasonable royalty rate, should compensation be sought. the sum of damages or possibility of damages. There is no discovery in Russia, therefore the minimum evidence required to prove that infringement was committed by the defendant should be collected before filing a suit. In most cases a plaintiff will be unable to provide evidence proving the scale of infringement. During court proceedings the plaintiff will have to petition for the court to demand for evidence from the third parties. The court can satisfy such a petition only where the plaintiff has proved all necessary steps to provide the evidence itself were taken but proved unsuccessful. The law allows the parties to apply to the notary for securing evidence – this is best done before the suit is filed, but can also be conducted during court proceedings if necessary. The notary can make and thereby fix a purchase of certain goods from a certain seller, fix the packaging or website content or nominate an examination. Securing website content before filing a suit, and even before sending a pretension letter, is crucial to demonstrate commercial character and bad faith of a domain name administrator or use (if any) in a court dispute regarding domain names. Survey evidence is the best way to prove confusion on the market. A letter of information from the Supreme Arbitration Court (13 December 2007, 122) stipulated that confusion is a matter of fact which a judge can estimate from the position of an ordinary consumer and which can be further proven by surveys. Complicated trademark infringement cases are generally supported by surveys. Normally surveys are provided by the parties, but in some exceptional cases a survey is conducted as an in-court examination. Before the Supreme Arbitration Court’s letter of information, use of expert witnesses was common in trademark infringement cases. Expert opinions are usually provided as ex officio evidence and are considered by the court along with other evidence. A strict procedure of nominating an expert by the court, analysis of case materials, written opinion under oath and expert interrogation is not normally applied in such cases. Lack of confusing similarity is usually argued and supported by expert opinion or a consumer poll. The courts are reluctant to reject claims based on a lack of confusion due to additional strong elements co-used by the infringer – for example, in OOO LINA v McDonald’s (A40-2569/11), regarding the trademark С ПЫЛУ С ЖАРУ (translated as ‘piping hot’), McDonald’s was found to be infringing the trademark, even though the wording was placed in small letters on the descriptive part of the packaging and was surrounded by further highly distinctive trademarks of the defendant. A lack of confusion due to the weak character of the plaintiff’s mark is a defence based on Nivea v Livia: the less distinctiveness that the trademark has, the higher the level of similarity and homogeny that is needed to create confusion and thus be considered infringement. The doctrine of descriptive use is not yet thoroughly understood by the court, although some decisions on this matter suggest that use that is merely ‘fairly descriptive’ will not be considered infringement. used in comparative advertising (A40-108056/10). Some court cases have discussed whether ‘accidental use’ constitutes trademark infringement (eg, A40-137964/2015); however, it is still generally considered to be so. The claims were initially rejected in LINA v McDonald’s (A40-2569/11) by the first and appeal-instance courts based on this principle of ‘use not as a trademark’. However, the Supreme Court cancelled the courts’ decisions and ruled to reconsider the case, keeping in mind that the infringement still took place. Invalidity cannot be grounds for rejecting infringement claims, unless the trademark is invalidated in a special administrative invalidation procedure. A non-use argument cannot be the only grounds for rejecting the infringement claims, since it should be verified in a special court procedure with the burden of proof of due use on a trademark owner. At the same time, according to Article 10 of the Civil Code, the courts may reject trademark infringement claims in certain exceptional cases if the court concludes that the trademark owner’s activity is aimed only at preventing others from entering the market or gaining licence fees from them, not at its own commercial activity on the market for the goods for which the trademark is registered. A recent IP Court ruling at cassation instance (24 July 2018) supported and confirmed the position of the lower courts. One of the specialities of the Russian economic court procedure is an unusual number of possible appeal stages. This is caused historically by adapting the national system to the requirements of the European Court of Human Rights and by several inconsistent reforms of the court system. These reforms resulted in the establishment of a specialised IP Court in 2013 and the annihilation of the Supreme Arbitration Court in 2014, as well as subordinating the economic courts to the Supreme Court system with already existing appeal procedures. The core principle of all appeals is that the first appeal is factual and all the others (first cassation, second cassation and supervisory) are appeals on the rules of law. After the factual appeal, the decision (initial or amended) is enforceable. 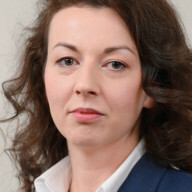 Irina Ozolina is a senior partner at A Zalesov & Partners Patent & Law Firm. She graduated from the Moscow State Academy of Law with distinction and holds a diploma from the Russian Intellectual Property Academy. She is a registered Russian patent and trademark attorney and registered attorney at law. Ms Ozolina is an IP litigator, having represented her clients (both plaintiffs and defendants) in more than 150 court and administrative IP disputes on patent, trademark and copyright enforcement matters, and patent and trademark invalidation cases. She has also acted as litigation counsel to parties before anti-monopoly bodies in unfair competition disputes (including trademark and patent right abuse disputes).